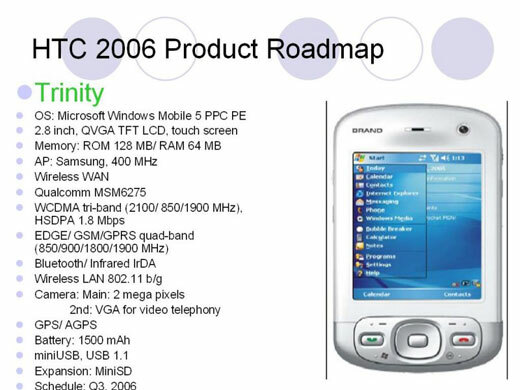 Our favorite amateur softcore pornographer BengalBoy got his hands on HTC's 2006 roadmap. 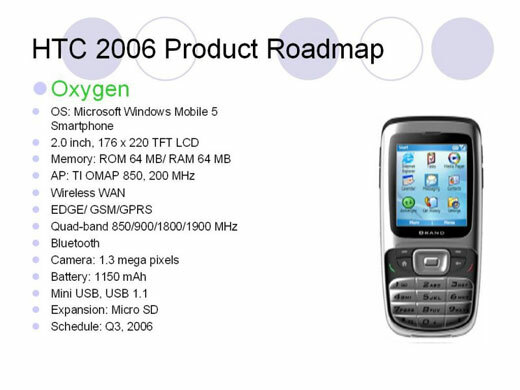 HTC, in case you forgot, makes Windows Mobile 5-based smartphones for other manufacturers like QTek and Dopod to sell with their own branding. First up, HTC has changed their slogan to HTC Smart Mobility from their old HTC Engineering Mobility and HTC Innovation. They've also renamed their phones with letters instead of words, like the HTC TyTN and the HTC MTeoR. So what's due in '06? The TyTN and the MTeoR, which have just been released in Europe. 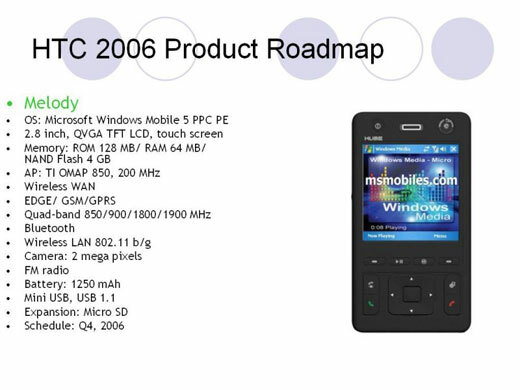 Then there's the HTC Artemis and the HTC Excalibur, the latter of which is a Motorola Q-like smartphone. There's also thee phones we haven't heard much about, the HTC Melody, the HTC Trinity and the HTC OxyGen. Take a look at the specs for those three phone after the jump.